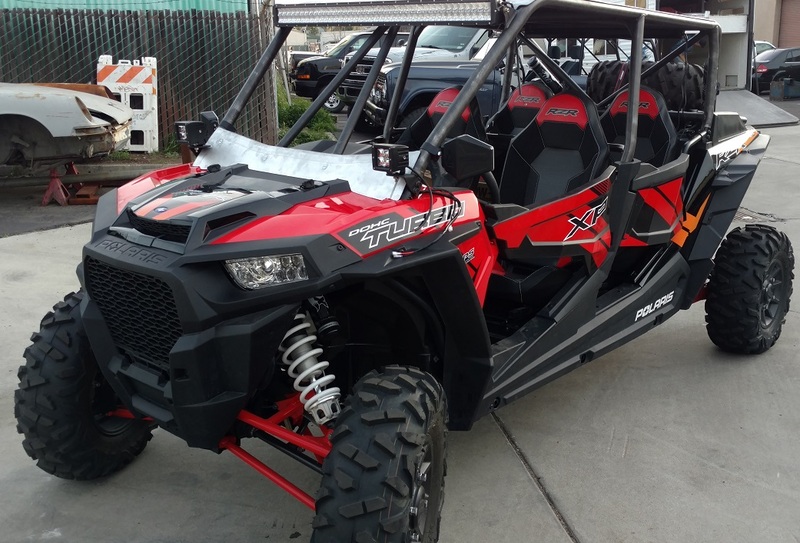 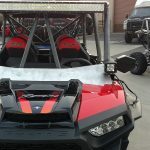 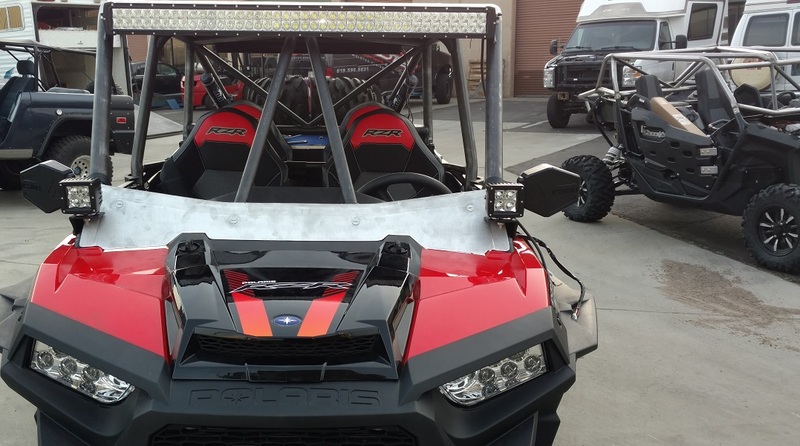 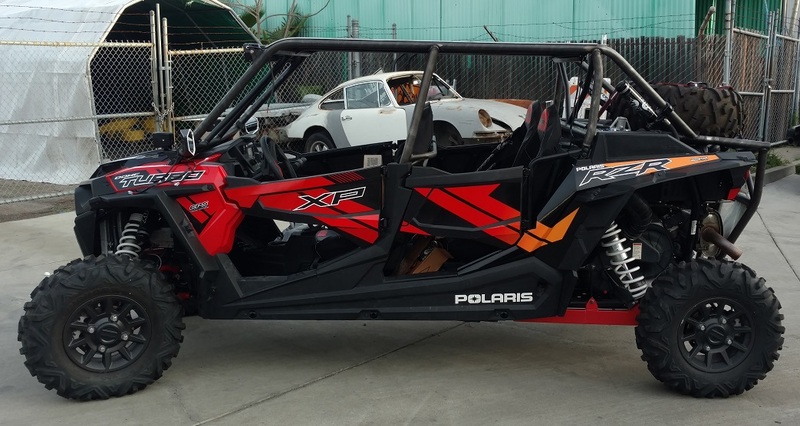 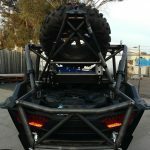 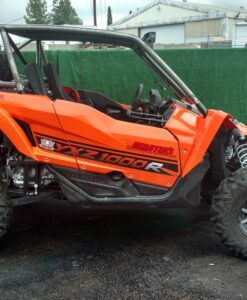 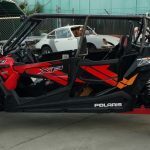 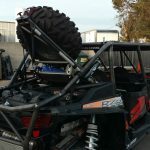 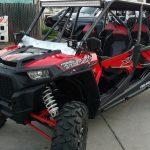 Our New Polaris RZR XP4 1000 cage was designed to give maximum roof to ALL occupants while giving it a buggy like appeal. 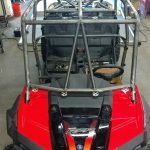 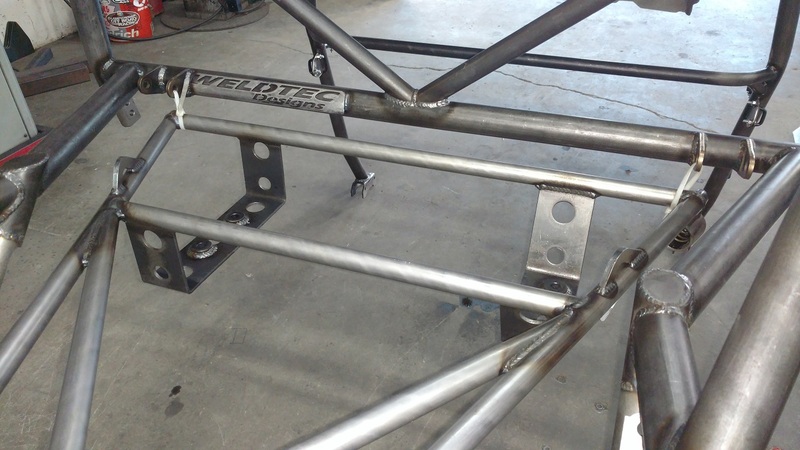 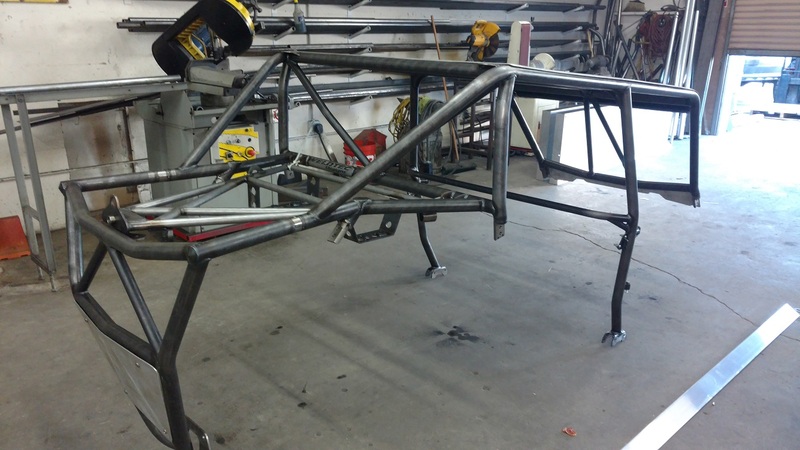 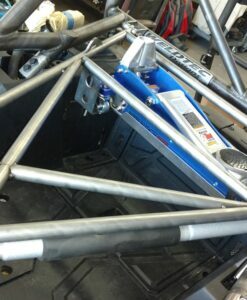 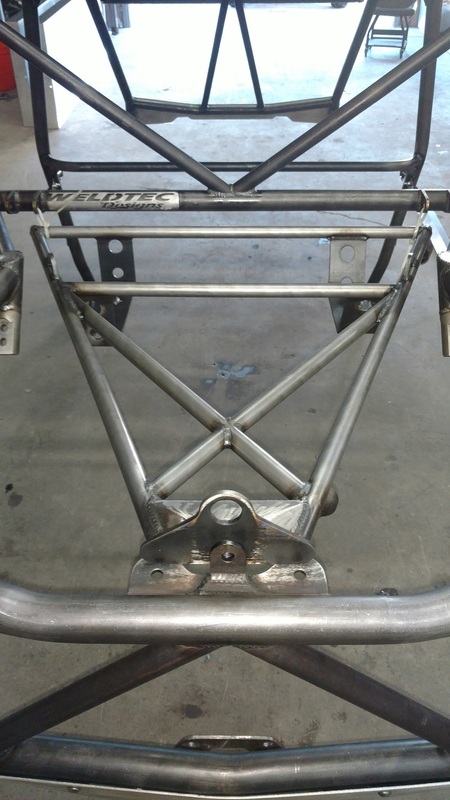 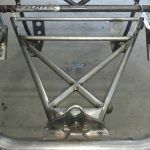 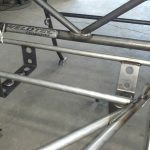 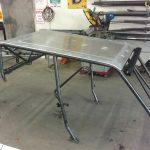 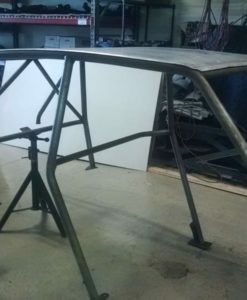 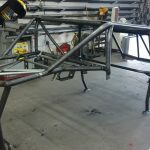 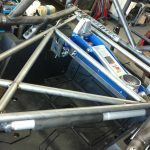 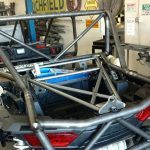 The cage is constructed of .095 DOM tubing using all all the factory mounting for the doors. 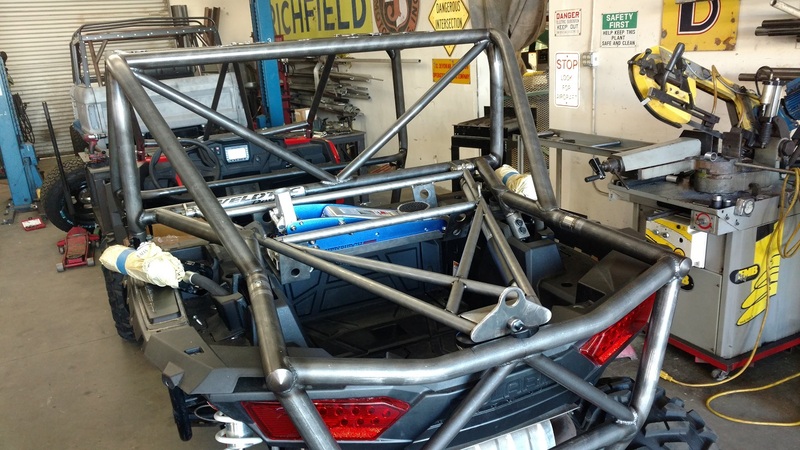 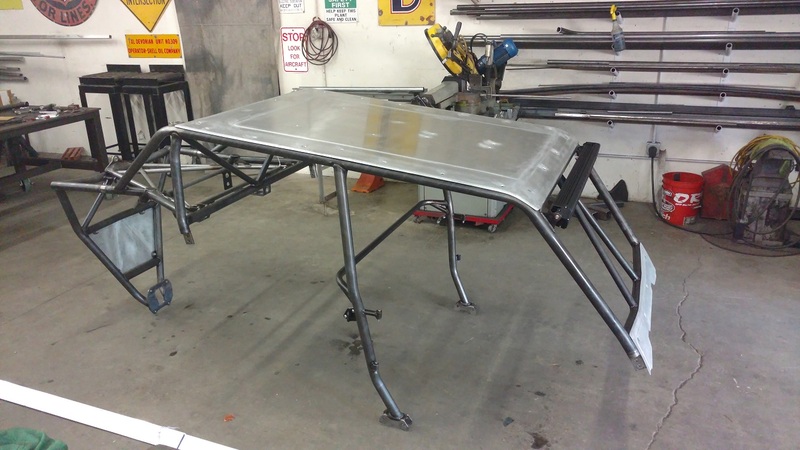 We added a aluminum roof to keep you out of the hot sun and used over 30 Zues fasteners to attach it, reducing vibration and increasing strength. 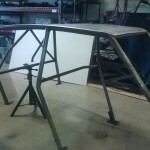 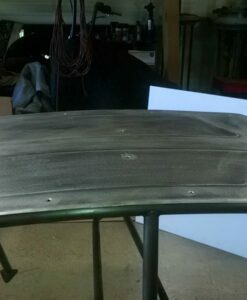 In the front we added a double intrusion bar along with an aluminum windshield valance. 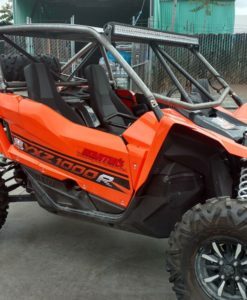 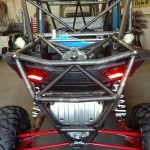 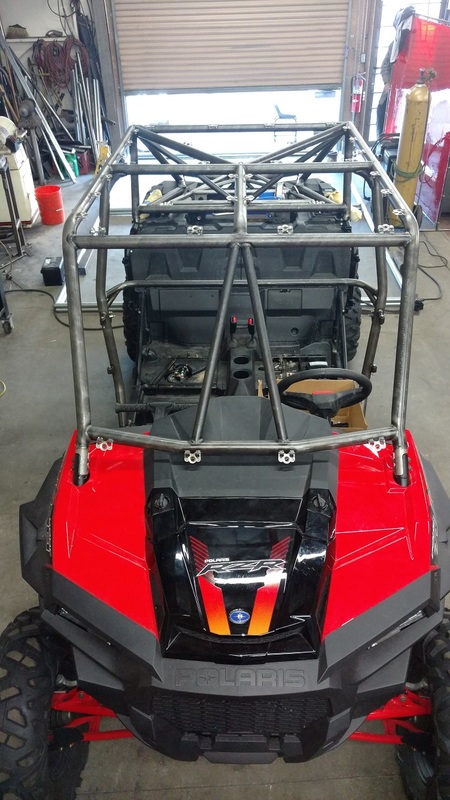 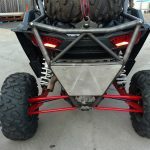 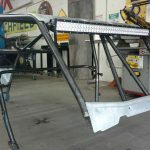 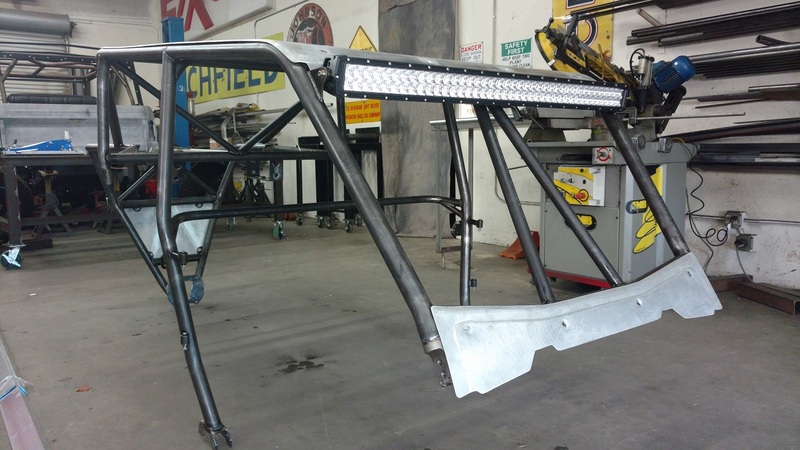 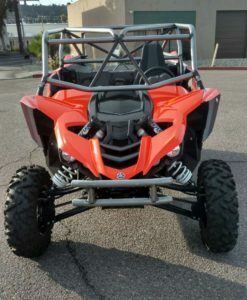 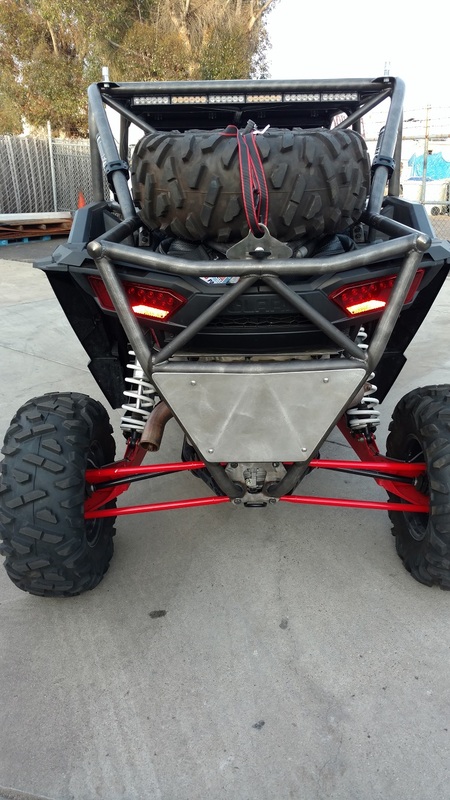 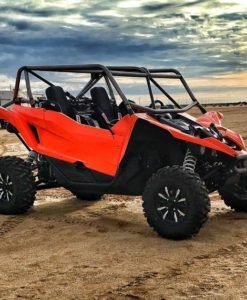 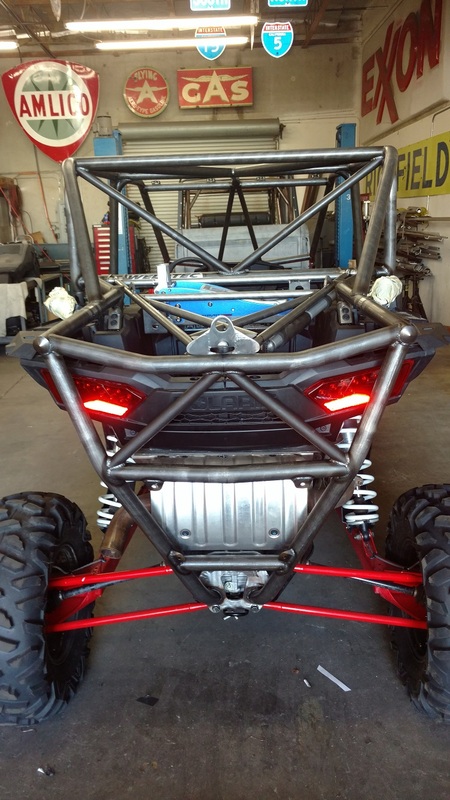 In the rear of our Polaris RZR XP4 1000 cage it has a full removable bumper to give you a clean look while increasing protection of rear components. 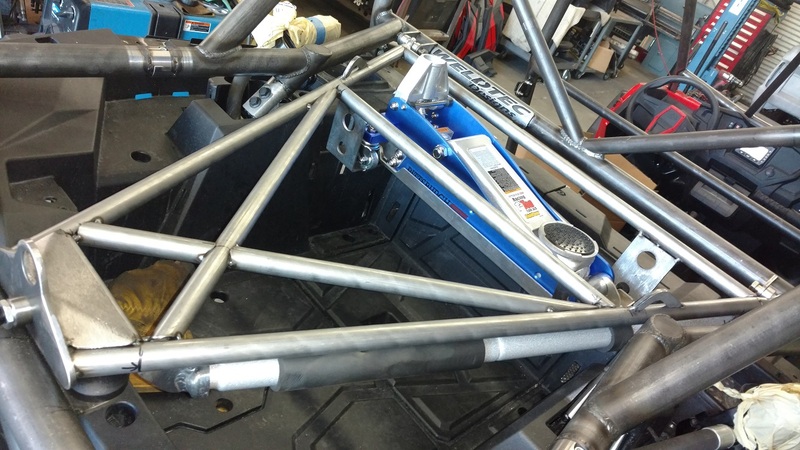 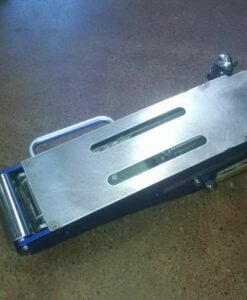 With additional options like pictured is a lifting rear tire carrier and Jack mount. 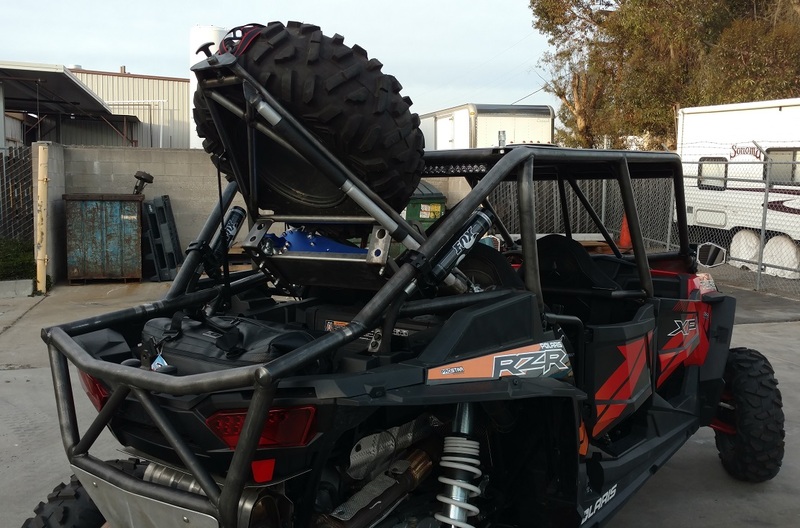 You have the ability to run a 31″ tire with full access to the storage compartment with the click of a knob. 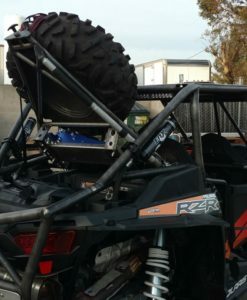 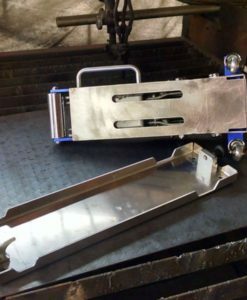 This tire carrier for the Polaris RZR 4 seat cage allows you to run a 1.5 ton floor jack with aluminum jack mount tightly tucked in front of the spare. 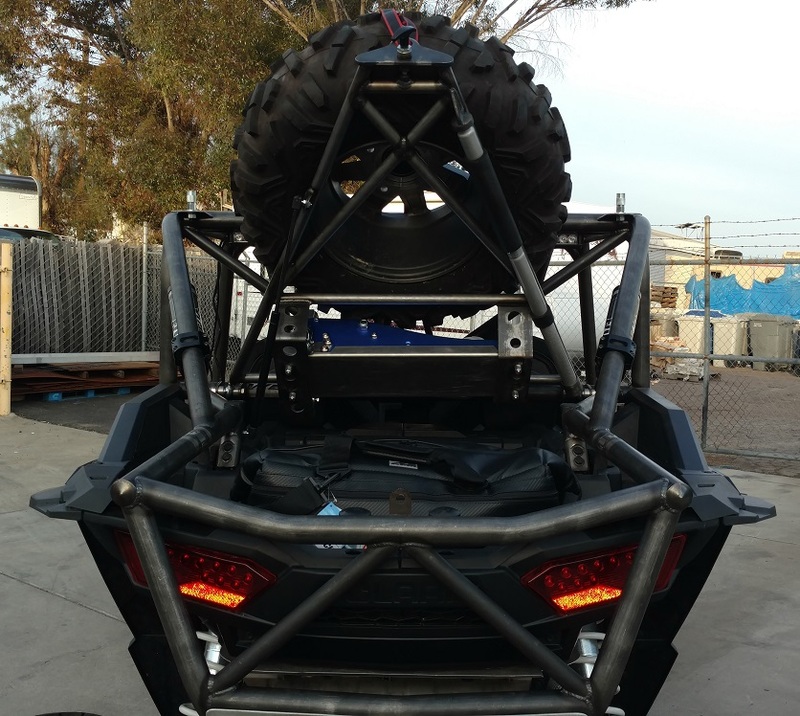 It also has a mounting location for the jack handle so you are completely prepared in the desert.